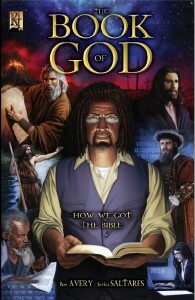 I’m very pleased to present a “first look” inside The Book of God, my latest graphic novel. 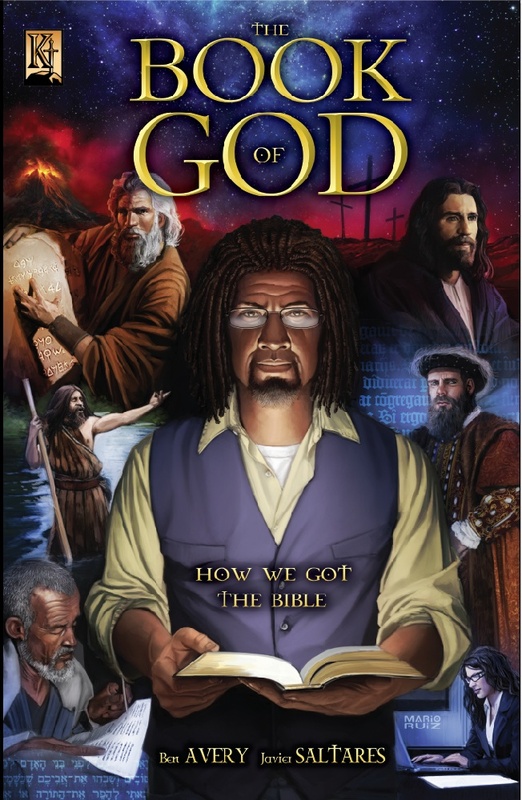 The Book of God is a comic documentary detailing the history of the Bible, from the first writings in 1500 BC to the latest translations from the 21st century. A book that changed the world. A book that everyone knows of, but not everyone knows about. This is the story of how the Bible came to be: who wrote it, when, and why. How it was collected and translated. This is the story of how the Bible was written centuries ago and passed on through the generations to this very day. This is the story of . . . The Book of God is an introduction to where the most important document of human history came from. Here’s a look inside . . .
Ben – What an awesome idea! It looks great so far. Can we pre-order yet? The book is FANTASTIC! I could not put it down. We are planning a trip with my 14 yr old grandson, a bookworm, to visit the Franklin Institute in Philadelphia to see an exhibit of the Dead Sea Scrolls. This book provides excellent background for an appreciation of those old manuscripts. THANK YOU! This is a must read for teens and adults who are curious about the validity of the bible. Both my husband and I read ‘The Book of God’ and were surprised by the amount of historical detail and supporting evidence included in this documentary. The graphics were equally impressive and helped to create lasting images of key concepts. Thank You… this was excellent!